Yes, you read that correctly. Featuring a bounty of great songs written by Danny Elfman, the onetime frontman of Oingo Boingo, this album is an unexpected holiday gem. Each and every one of the songs was written in a minor key, but they still manage to run a gamut of emotions, from joy to longing, sinister to funtastic. The 1993 stop-motion animated film was directed by Henry Selick and produced by Burton, who conceived the story in 1982 while working at the studios of Walt Disney Feature Animation. It tells the story of Jack Skellington (voiced by Chris Sarandon and sung by Elfman), the Pumpkin King of Halloween Town — the source of the Oct. 31 holiday. 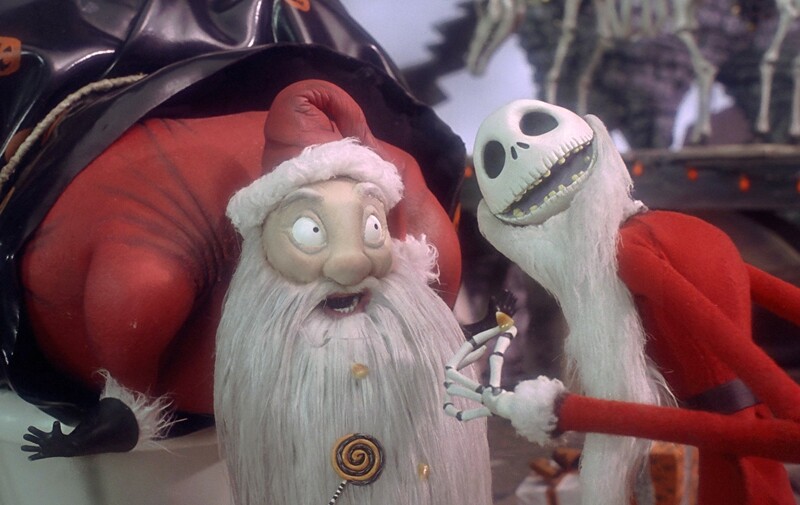 One day Jack wanders into Christmas Town and becomes so fascinated by the candy-colored holiday that he decides to usurp Dec. 25 from Santa Claus. A series of graphic novels spun around the supposed adventures of a young H.P. Lovecraft has been published by Arcana, and somehow I didn’t know about it! Not only that — one of the books, Howard Lovecraft and the Frozen Kingdom, has been adapted by Arcana Studios into an animated film! Looks like a lot of fun. The 3D animation seems to have some kind of weird, disorienting effect — or is that just me? I like it, though. BOY MEETS WORLD’s Will Friedle has been tapped to lend his voice to Star-Lord in the upcoming Marvel animated series GUARDIANS OF THE GALAXY on Disney X D.
Chris Pratt personified Peter Quill’s nom de crime in last summer’s live-action blockbuster Marvel movie, and will reprise the role in Guardians of the Galaxy 2, but not in the animated series. 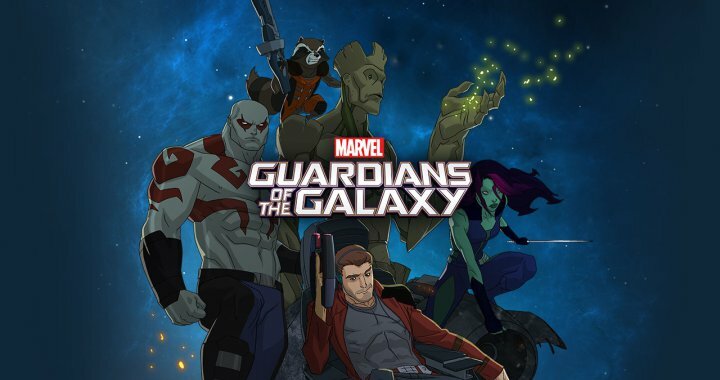 Friedle will be joined by Kevin Michael Richardson as the voice of Groot, Trevor Devall as the voice of Rocket Raccoon, Vanessa Marshall as Gamora, David Sobolov as Drax, and James Arnold Taylor will voice two characters: Yondu and Cosmo. Batman vs. Terminators? It’s (sorta) Real! Prepare to have your eyeballs seared by a terrific animated short that pits Batman against a horde of Terminators in a bid to save John Connor’s young life, created by very talented fan Mitchell Hammond. “Thirty years have passed since Bruce Wayne survived Skynet’s nuclear blasts in August of ’97. Iron demons now roam the planet, and without the requirement to defend the innocent against crime and injustice, Wayne has seeked [sic] refuge in the bomb shelter that saved his life; the Batcave. Everything about this clip seems perfect, from the character designs to the cartoony movements to the grim music. I would definitely buy a ticket if this was done as a feature film! Here’s another collection of newly released movie posters, and I’m dividing them up into three galleries. Roll over each image for my comments. Okay, I’m leaving the lights on tonight! So ’80s! Made of win! Kermit vs. an impersonator? I’m in! Which one is the prettier one? I need a map to figure out what I’m looking at. Too busy… where am I supposed to look? Ewww… who wants a close-up like this?